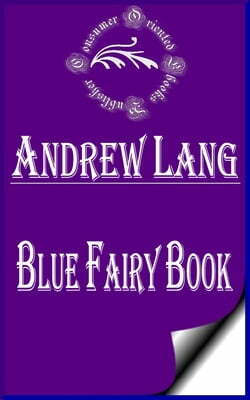 Andrew Langâ€™s Blue Fairy Book (1889) was a beautifully produced edition of fairy tales that has become a classic. This was followed by many other collections of fairy tales, collectively known as Andrew Langâ€™s Fairy Books. The bronze ring -- Prince Hyacinth and the dear... read more little princess -- East of the sun and West of the moon -- The yellow dwarf -- Little Red Riding-Hood -- The sleeping beauty in the wood -- Cinderella; or, the little glass slipper -- Aladdin and the wonderful lamp -- The tale of a youth who set out to learn what fear was -- Rumpelstiltzkin -- Beauty and the Beast -- The Master-Maid -- Why the sea is salt -- The Master cat; or, Puss in boots -- Felicia and the pot of pinks -- The white cat -- The water-lily -- The gold-spinners -- The terrible head -- The story of pretty Goldilocks -- The history of Whittington -- The wonderful sheep -- Little Thumb -- The forty thieves -- Hansel and Grettel -- Snow-White and Rose-Red -- The goose-girl -- Toads and diamonds -- Prince Darling -- Blue Beard -- Trusty John -- The brave little tailor -- A voyage to Lilliput -- The princess on the glass hill -- The story of Prince Ahmed and the fairy Paribanou -- The history of Jack the giant-killer -- The black bull of Norroway -- The Red Etin.